"Pay Pal Vs. Merchant Accounts"
This article will explore the pros and cons of using PayPal versus a credit card merchant account in the context of running a vacation rental (VR) business. Since Bookerville supports both, this article is aimed at helping the reader to make an educated decision about which to use and when. What forms of payment do you accept for your vacation rental? Many VR managers accept personal checks, but most guests prefer to pay electronically - either with a debit card or credit card. Additionally, there is a lot to be said for the convenience of accepting online payments, since the money goes straight into your own account without having to deposit a check at the bank. Also, accepting electronic payments allows guests to book online and pay a deposit (or pre-payment) online. Even if you don't permit guests to book themselves, online payments can still be a huge benefit for collecting both initial and subsequent payments. But what methods should you use for online payment processing? Most small VR businesses start off using PayPal, mostly because it is very quick and very easy to get setup. There are no start up fees, no monthly or annual fees, and no minimum balance requirements. PayPal is also very easy to integrate with, so placing a simple payment button on your website can be done in minutes, and without extensive computer programming. PayPal is a great solution for beginners and very small businesses, but there are two significant drawbacks. The first is that in the long run, PayPal is very expensive because of the high transaction fees they charge. Although they have come down in recent years, they still hover somewhere in the 3% to 3.5% range. Because of the relatively high dollar amounts involved in a VR business, these fees can really add up and hurt your profits. 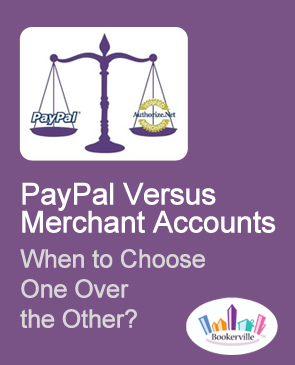 The second drawback is that end consumers often get confused when trying to pay a merchant through PayPal. While it's true that a customer does not need to have their own PayPal account in order to pay your PayPal account using a credit/debit card, PayPal goes out of its way to make this, well, less than obvious. Instead, they arrange the buttons and instructions in a way that makes the customer think they must sign up for a PayPal account to continue. No doubt they do this to obtain more customers, but especially for a VR business, it's crucial to make the payment process as simple and straightforward as possible. It's also important to consider that some customers really do not like or trust PayPal, for various reasons, although we believe this is improving over time as PayPal becomes more mainstream. For example, even though Bookerville recently added Authorize.net to our methods of processing payments from our own customers, we are leaving the PayPal method as an option because many of our customers prefer to pay us that way. We also want to assert that our own experience with PayPal has been nothing less than excellent. As they grow, many VR businesses end up switching to a credit card merchant account. The advantages, as you might imagine, are the exact opposite of PayPal's: cheaper transaction fees and (usually) a much cleaner payment form, resulting in fewer confused customers, and without the stigma of PayPal's tactics. Typical merchant account transaction fees these days are somewhere in the 2% to 2.5% range - about a full 1% cheaper than PayPal. Of course the disadvantage is that there are often start-up costs (although these days you can usually get these waived or at least reduced just by asking), and also subscription fees that can range from $15 to over $60 per month. You must pay these fees every month no matter how much transaction volume you've processed. If you're looking at it strictly from a money perspective, then it's all about the volume of transactions you do - specifically, how much money per year you collect through your account. The math is simple: if the monthly fee for your merchant account is, say, $30, then you are going to pay $360 each year in monthly fees. If you are saving an average of 1% over PayPal in transaction fees, then the break-even point is $36,000 per year in charges. If you're processing more than this in a year's time, then you will pay less overall with the merchant account. Of course, it may be worth switching even if you're processing less than the break-even amount per year, when you factor in the end-consumer ease-of-use of a merchant account over PayPal. But that's something that is harder to quantify: your mileage may vary. Shopping for and setting up a merchant account is also more complex, and with a larger variety of solutions. You can go to your local bank and obtain a credit card merchant account, or find one online. You are looking for a trustworthy brand, with the lowest transaction and monthly fees possible. But a credit card merchant account by itself is only going to get you what is referred to in the industry as a "card present" account. They will provide you with a "slider" - a device for scanning credit cards for sales. While this works well for brick & mortar stores, and may be fine for final payments from customers who pay the balance upon arrival at a B&B or inn, it does not permit you to collect online payments. To collect online payments, you need something called an "Online Payment Gateway", and here's where it can get confusing. Some merchant accounts are bundled with an online payment gateway; sometimes the online payment gateway is from the same company or brand as the merchant account, but often it is not. 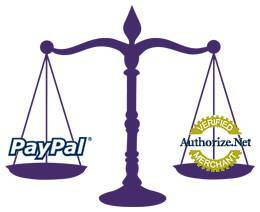 Moreover, the merchant account may offer a choice of online payment gateways. By far, the largest and most popular online payment gateway is Authorize.net. Owned by Visa, Authorize.net boasts one of the highest acceptance of merchant accounts. Most credit card merchant accounts will offer Authorize.net as at least one of their online payment gateway options. It has also been our experience that Authorize.net has one of the largest and most comprehensive support bases, in the form of their own resource pages, as well as various public forums and developer communities. For these reasons, Authorize.net is currently the only payment gateway Bookerville integrates with, other than PayPal. Bookerville members shopping for a merchant account should insist on Authorize.net as the payment gateway so that your online payments can integrate smoothly with your Bookerville account. It should also be mentioned that PayPal provides another nice service that is notably lacking in Authorize.net: PayPal reports the transaction fee charged to you (the merchant) in real-time. Because of this, Bookerville automatically captures these fees in your property's Expenses tab every time a PayPal payment is made to you. This makes for very handy reporting, and it's a real shame (and curiosity) why Authorize.net does not provide the same feature. Another important aspect to consider is refundable security deposits. If you require these, then you should know that PayPal permits you to refund a transaction (in whole or in part) within 60 days for free - in other words, you can recover all your transaction fees. So far, we have not encountered any merchant accounts that permit this, so if you collect a security deposit via a merchant account, you will pay fees when the guest pays it to you, and then you will likely pay fees again when you refund it to them. To avoid this, some VR managers place something called an "authorize only" hold on the guest's credit card, which holds the security deposit amount but does not actually transfer it to your account. After some number of days without being collected, the hold is automatically released. This is usually free, but the problem is that the hold period cannot be relied on to be consistent: it is controlled by the issuing bank of the card, and it can vary depending on the type of card ("platinum", "gold", "premium", business, etc.) and even the time of year. Although typical holding periods are 30 days, they can be as short as a week or even just a few days - making it very difficult to collect if damage occurs to the property during a rental. Since PayPal is free to both setup and maintain, there's little harm in starting an account with them and leaving it open while you research and experiment with one or more merchant accounts. It is also important to note that with merchant accounts, you can often get better deals not only by shopping around, but also by asking sales reps for lower transaction and monthly fees. Now more than ever, the industry is growing much more competitive, so it's never been a better time to be a customer in the market for a merchant account. Our strong advice is to inquire about PayPros, as many of our customers have very positive reports about them. There are pros and cons to both PayPal and merchant accounts, particularly as they pertain to running a VR business. Because of PayPal's simplicity and conveniences, it is very common for VR businesses to start off with them, and many small to medium sized VR businesses simply stay with PayPal. However, as your business and revenue stream grows, eventually the fee savings of a merchant account will likely outweigh PayPal's charms.